This review was easy to do. NicQuid takes business seriously and putting out a quality product is important to them. 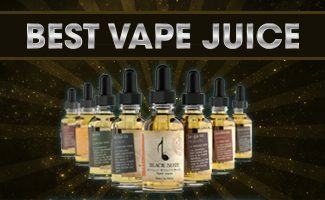 Their juice line is made in the USA and only uses the finest ingredients for their e-liquids. Many eliquid manufacturers can boast about all that as well, but they are also a founding member of the American eLiquid Manufacturing Standards Association (AEMSA). AEMSA’s purpose is to create responsible and sustainable standards in the safe manufacturing of eliquids used in electronic cigarettes. When you’re putting vapor in your lungs, this type of information is good to know. I only wish cigarette manufacturers had the same dedication to quality and safety. A review of ten different vape juice flavors. 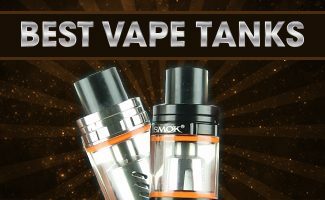 Testing Platform: For the purpose of this review, I used an Ismoka eLeaf Mega 3.5ml Clearomizer with an iSmoka eLeaf Smartomizer and a STAM eGo 1100mAh Variable Volt Battery. I tried ten varieties of juice at the 18mg nicotine level. You can read our review results below. 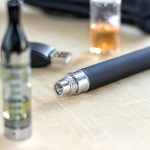 Vapor Production: Most eLiquid manufacturers don’t readily provide the Propylene Glycol (PG) to Vegetable Glycerin (VG) ratio in their products. For those of you who don’t understand these ingredients, the PG provides the “Throat Hit” while the VG creates the vapor. I didn’t see what the ratio was for NicQuid, but I believe it’s 60/40 in favor of VG. There is a lot of vapor production in their e-Liquids. You will not be disappointed there. You also get a good enough throat hit to satisfy all your vaping senses. Loyalty Program: What I like about their juice is their desire to keep their customer base. They have a loyalty program which allows customers to earn points with each purchase. Since NicQuid is an awesome e-Liquid manufacturer, chances are you will be buying from them anyway. 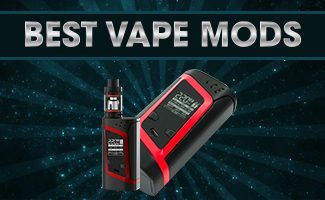 The icing on the cake is that you will be able to get huge discounts or even free e Liquids within a short period of time as a member of this program. Nicotine Level: e Liquid can be purchased with 0mg (0.0%), 6mg (0.6%), 12mg (1.2%), 18mg (1.8%) and 24mg (2.4%) of nicotine. Ingredients: Their ejuice is comprised of USP Grade Propylene Glycol, USP Grade Glycerin, Natural and Artificial flavorings, Nicotine (you can choose to get it without nicotine). Some flavors may contain water and alcohol. Shipping: They ship all over the world. They offer First Class Mail, Priority Mail, Express Mail, First Class International, Priority Mail International and Express Mail International. I lived overseas for a while and I received their eliquids in nine days. I would say that is pretty quick. I have had items from amazon.com take 3-4 weeks to deliver at times. : This was the first e-liquid flavor I tried and I was pleasantly surprised. The flavor is advertised as having a cinnamon taste, but there are more complexities to this eLiquid. I taste subtle apple, a hint on menthol and watermelon candy. It is really quite good. My wife, who vapes occasionally, really enjoyed this eLiquid as well. : A popular e-liquid from NicQuid, Midnight Express gives you a full bodied taste of tobacco. When I tried it, the taste reminded me long leaf tobacco. A moist, fresh tobacco taste that goes well with a glass of whiskey or cognac. This is a flavor I am probably going to order again since it is difficult to find an e-liquid which truly matches a tobacco flavor. : Similar to Midnight Express, Day Break provides more of a pipe tobacco taste. The flavor consists of smooth tobacco mixed with French Vanilla. Imagine smoking a nice pipe while drinking French Vanilla coffee and you get the sense of what this eLiquid flavor is all about. This is a great e-Liquid with your morning coffee or during the evening relaxing by the fire place. : The first thing I noticed about this e-liquid is the aroma of the smoke juice. The smell of blueberries hit my nose instantly. I had a feeling that this would be a very strong, sweet tasting e-liquid, but I was wrong. The flavor can be described as a mixture of a mildly sweet blueberry infused with fresh tobacco leaves. It really is a nice mix because the taste of blueberry is there without an overpowering sweetness in your mouth. : If you like menthol, then this is the e-liquid to get. I mean wow! This is an “in your face” menthol mint explosion that will make any summer day feel like December in Alaska. When I smoked traditional cigarettes, I never liked menthol. But I found menthol the best flavor for me when I switched to electronic cigarettes. 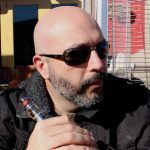 For the most part, I would buy Vapor King menthol eliquid because I found it to be the best tasting menthol smoke juice. But I think I will be using this one for now. It’s a totally intense menthol flavor which packs a punch. : Another menthol flavor. This flavor is not as intense. It is a mild menthol with sweet overtones. If you like mint candy or prefer a less overpowering menthol flavor, you may appreciate Mintoid more than Smooththol. In my opinion, Smooththol is the better choice because it provides a more genuine menthol flavor. The sweet after taste of mintoid made me feel like I was vaping candy. : This juice tastes exactly as the name implies. The flavor is a mixture of strawberry and banana blended into a smoothie. The immediate taste is that of strawberries, but it finishes off with banana. The banana flavor is a little more pronounced than the strawberry. Also, it reminds a little of those soft banana flavored candies you may have tried while growing up. I can tell the flavor is artificial, but it’s not bad at all. : Now that summer is approaching, I can see how this juice will be a top choice on those warm days in the sun. There is nothing overpowering in this flavor. You get a taste of peach and unsweetened lemonade. I don’t really sense any lemon in this e liquid and the only hint of sweetness comes from the peach overtones. I’m not a fan of sweet e liquids, so I don’t mind this one at all. : This is an amazing flavor. Apple Frost combines the great refreshing tastes of green apples and ice cold menthol. This is a perfect after lunch smoke juice and really refreshing. If you’re not crazy about the menthol, NicQuid suggests you try Apple Breeze. It has the same great green apple flavor without the strong menthol addition. : Wow! I have been doing reviews for a long time and this is probably the first e Liquid I have tried that tastes exactly as its name. When you start vaping this blend you will immediately see (and taste) what I mean. This is exactly like Banana bread. Anybody who loves banana bread will want this eLiquid. Try it first thing in the morning with your coffee and you will be in heaven. I don’t think there is any doubt about it. This is one of the best eLiquid brands we have tried. They are attentive, imaginative and truly care about providing a quality product. I know I’ll be vaping their eLiquids quite regularly. Was this review helpful? Let us know by leaving a comment below. 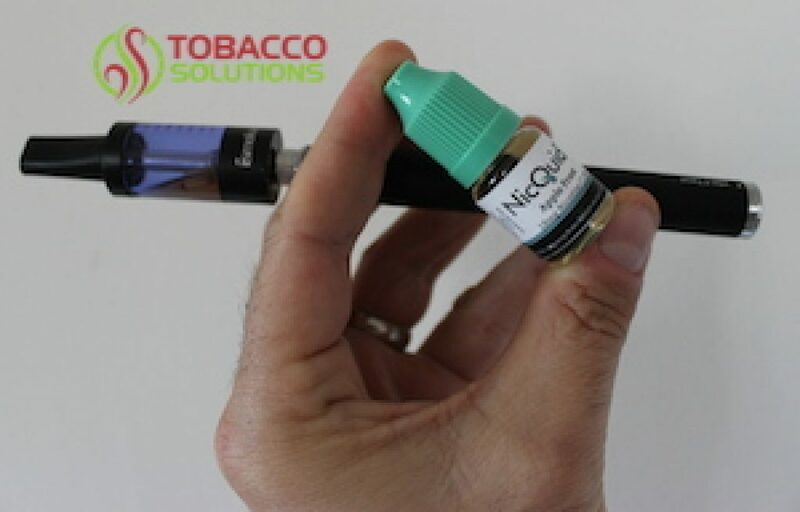 NicQuid is a USA based e Liquid company using the best ingredients. This review sampled their top 10 e liquids.